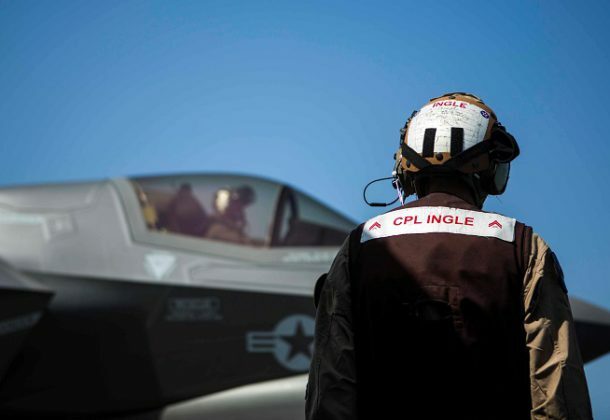 For the first time ever, US Marine Corps F-35Bs are on an operational deployment in the Gulf of Aden, bringing them the closest they’ve ever been to conflict zones in Iraq, Syria, Yemen, and Somalia, reports The Drive. The Marines are heading to Norway. The 24th Marine Expeditionary Unit is participating in Trident Juncture, a large NATO exercise, reports Marine Corps Times. Russia is expected to begin military exercises this week, reports Military Times. The Vostok 2018 exercises in central and eastern Russia will include participants from the Mongolian and Chinese militaries. CNBC reports Turkey is in the process of constructing a site for a Russian missile system despite warnings from the US to not buy the platform. The S-400 system is believed to have a larger range than the American-made THAAD missile system and is estimated to cost less. DefSec Jim Mattis is looking to change how US special operations forces are prepared for missions in Africa after an October ambush by extremists in Niger revealed training shortfalls, reports Military Times. In order to recruit drone developers, the Drone Racing League and Lockheed Martin announced a new competition for teams to develop AI pilots for its aircraft, reports The Verge. USNI News has a photo of the Air Force RQ-4 Global Hawk unmanned aerial vehicle taken from the Atlantic Ocean after the surveillance drone crashed off the coast of Spain in late June. Federal prosecutors have identified the man they say is behind some of the world’s most destructive cyberattacks, reports CBS News. The Justice Department claims a North Korean programmer, backed by the regime of Kim Jong Un, conducted attacks that include the 2014 hack of Sony Pictures Entertainment. North Korea says it is upholding the denuclearization agreement it reached with the US this year, reports Reuters. The federal government has shut down at least eight “copycat” military recruiting websites run by companies accused of using deceptive practices to entice potential recruits into providing their personal information, reports Military Times. The information was then sold to post-secondary schools. Tina Kaidanow, a longtime State Department official, ambassador, and a key player in recent reforms to America’s arms sales process, is heading to the Pentagon, reports Defense News. Ms. Kaidanow will be the director of international cooperation. Arlington National Cemetery returned to its roots as a resting place for the Civil War dead with a burial late last week of two unknown Union soldiers, reports Associated Press. Military Times reports Veterans Affairs Secretary Robert Wilkie said his department “needs to be more welcoming to women veterans” and promised improvements at the VA in the months to come. Northrop Grumman Systems Corp., Middle River, Maryland, has been awarded a $14,105,649 firm-fixed price modification (P00009) to contract FA8726-17-C-0011 for the Identification Friend or Foe Mode 5 in support of the Battlefield Airborne Communications Node platform fleet. The location of performance is conducted in continental US locations, and work is expected to be completed by Jan. 23, 2019. Fiscal year 2018 and operations and maintenance funds in the amount of $4,102,982 are being obligated at the time of award. Air Force Life Cycle Management Center, Hanscom, Air Force Base, Massachusetts, is the contracting activity. Leidos, Reston, Virginia, was awarded a $12,989,305 cost-plus-fixed-fee contract for systemization, operations, and providing support of the government’s management of pilot testing, systemization, operations, and closure of the chemical demilitarization facilities to destroy chemical weapons stockpiles. Bids were solicited via the internet with two received. Work will be performed in Reston, Virginia, with an estimated completion date of Sept. 23, 2028. Fiscal 2018 research, development, test and evaluation funds in the amount of $12,845,210 were obligated at the time of the award. US Army Contracting Command, Rock Island Arsenal, Illinois, is the contracting activity (W52P1J-18-C-0047). JM Ship LLC, Portsmouth, Virginia, is awarded a $10,192,260 firm-fixed-price contract for the transportation of dry cargo worldwide utilizing M/V Mohawk, with the expectation that the bulk of the cargo will move between the US East Coast and the Arabian Gulf. The contract includes a base period of 12 months and one 12-month option plus a potential six-month option period which, if exercised, would bring the cumulative value of this contract to $25,466,688. Work will be performed at sea, and work is expected to be completed Sept. 22, 2019. If the option is declared work is expected to be completed Sept. 22, 2020. Working capital funds (Transportation) in the amount of $10,192,260 are obligated and will not expire at the end of the current fiscal year. The Military Sealift Command, Norfolk, Virginia, is the contracting activity (N3220518C3359). Desbuild Inc., Hyattsville, Maryland, is awarded $8,387,000 for firm-fixed-price task order N6945018F0730 at under a previously awarded multiple award construction contract (N69450-16-D-1111) for the repair of Building 5044 concrete caisson at Naval Submarine Base Kings Bay. Work includes limited demolition of existing features, repairs, replacement, refurbishment, and reconstruction activities. In addition, work includes refurbishment/replacement of pumps, motors, valves, air compressor, piping, heating, ventilation and air conditioning, electrical, controls, and concrete repairs to existing cracks and spalls, along with other project related incidental work. Work will be performed in Kings Bay, Georgia, and is expected to be completed by August 2019. Fiscal 2018 operations and maintenance, (Navy) contract funds in the amount of $8,387,000 are obligated on this award and will expire at the end of the current fiscal year. Two proposals were received for this task order. 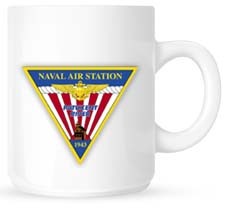 The Naval Facilities Engineering Command, Southeast, Jacksonville, Florida, is the contracting activity. ENCORE III Small Business Set-Aside Suite Contract Awards Siertek-Peerless JV LLC, Beavercreek, Ohio (HC1028-18-D-0021); Amyx Inc., Reston, Virginia (HC1028-18-D-0022); ASRC Communications LTD, Beltsville, Maryland (HC1028-18-D-0023); Compqsoft Inc., Houston, Texas (HC1028-18-D-0024); Credence Management Solutions LLC, Vienna, Virginia (HC1028-18-D-0025); Data Computer Corporation of America, Ellicott City, Maryland (HC1028-18-D-0026); Defense Solutions Group LLC, Fairfax Station, Virginia (HC1028-18-D-0027); Encore III Partners LLC, Blacksburg, Virginia (HC1028-18-D-0028); FEDITC LLC, Rockville, Maryland (HC1028-18-D-0029); Global Consulting International Inc., Salt Lake City, Utah (HC1028-18-D-0030); Innovations JV LLC, Chantilly, Virginia (HC1028-18-D-0031); Integral Consulting Services Inc., Rockville, Maryland (HC1028-18-D-0032); Integrated Computer Solutions Inc., Montgomery, Alabama (HC1028-18-D-0033); Madian IT Solutions LLC, Reston, Virginia (HC1028-18-D-0034); Mission Services LLC, McLean, Virginia (HC1028-18-D-0035); New Generation Solutions LLC, Leesburg, Virginia (HC1028-18-D-0036); Riverside Engineering LLC, Vienna, Virginia (HC1028-18-D-0037); Superior Government Solutions LLC, Falls Church, Virginia (HC1028-18-D-0038); Team CSI JV LLC, San Antonio, Texas (HC1028-18-D-0039); and VSolvit LLC, Ventura, California (HC1028-18-D-0040), were awarded a suite of multiple award indefinite-delivery/indefinite-quantity (ID/IQ) contracts for providing a full range of information technology (IT) services and solutions required by Defense Information Systems Agency, the Department of Defense (DoD) and other agencies of the federal government. The face value of this action is $10,000 (a $500 minimum guarantee to each contractor), funded by no year defense working capital funds. The total cumulative face value of the contracts is $17,500,000,000 (cumulative ceiling amount) for all ID/IQ contracts issued in both the full and open and small business set aside suites combined. This notification is for the small business set-aside suite only. Performance will be at locations across the globe wherever DoD IT services are required. Proposals were solicited via the Federal Business Opportunities website, and 95 proposals were received. The ordering period is for a five-year base period and five one-year option periods. The Defense Information Technology Contracting Organization, Scott Air Force Base, Illinois, is the contracting activity. Booz Allen Hamilton, McLean, Virginia (N00189-18-D-Z067); CACI Inc. – Federal, Chantilly, Virginia (N00189-18-D-Z068); Science Application International Corp., Reston, Virginia (N00189-18-D-Z069); Capstone Corp., Alexandria, Virginia (N00189-18-D-Z070); and Serco Inc., Herndon, Virginia (N00189-18-D-Z071) are being awarded an estimated $103,355,805 multiple award of cost-plus-fixed-fee, indefinite-delivery/indefinite-quantity contracts that will include terms and conditions for the placement of both cost-plus-fixed-fee and firm-fixed-price task orders to provide technical support services for functions such as chief information officer strategic support; data and information management; engineering support; information technology system support; network support; information assurance/cyber security; enterprise business intelligence/enterprise business analytics; software analysis; hardware maintenance and development; and business process reengineering in support of the deputy chief of naval operations (DCNO) manpower, personnel, training and education domain comprised of the DCNO, the Bureau of Naval Personnel, Navy Personnel Command, the Navy Manpower Analysis Center, Commander Naval Education and Training, and Commander Navy Recruiting Command. The contracts will run concurrently and will include a 36-month base ordering period and one 36-month optional ordering period which if exercised, the total value of this contract will be $213,173,626. The base ordering period of the contract is expected to be completed by September 2021; if all options are exercised, the ordering period will be completed by September 2024. Work will be performed in Millington, Tennessee (45 percent); Pensacola, Florida (27 percent); Arlington, Virginia (10 percent); various locations throughout the continental US (16 percent); and various contractor facilitates (2 percent). Fiscal 2018 operations and maintenance (Navy) funds in the amount of $50,000 will be obligated ($10,000 on each of the five contracts to fund the contracts’ minimum amounts) and funds will expire at the end of the current fiscal year. This contract was competitively procured for the award of multiple contracts pursuant to the authority set forth in Federal Acquisition Regulation 16.504. The requirement was solicited through the Federal Business Opportunities website, with fifteen offers received. Naval Supply Systems Command Fleet Logistics Center Norfolk, Virginia; and Contracting Department Philadelphia, Pennsylvania, is the contracting activity.